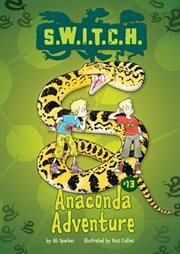 The item Anaconda adventure, (electronic resource) represents a specific, individual, material embodiment of a distinct intellectual or artistic creation found in Austin Public Library. Josh, Danny, and the mad scientist Petty Potts waltz over to the zoo and try out an awesome spray that turns them into anacondas! This adventure isn't all fun though, they've got to be careful!